Park Hyatt Aviara Resort is located in Carlsbad, a city on the southern California coast between Los Angeles and San Diego. The hotel is a 45-minute drive north of San Diego International Airport and two hours south of Los Angeles International Airport. It's love at first sight as you step onto the fairway of the golf course at Park Hyatt Aviara Resort. Built on rolling terrain, this Arnold Palmer-designed wonder has its share of water hazards - and a Spanish colonial clubhouse to boot. Meanwhile, the mood is downright romantic in your Luxury Suite, which has a view of the golf course and Batiquitos Lagoon from its landscaped terrace. 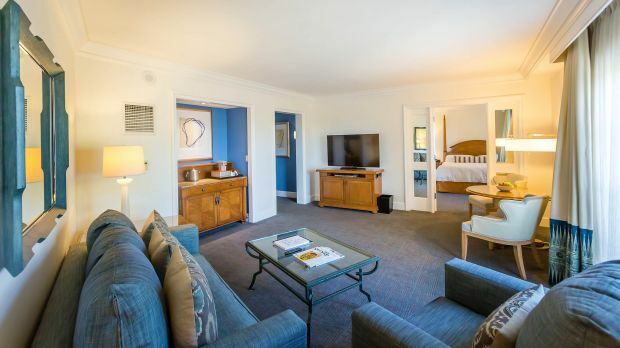 One of 329 rooms and suites at Park Hyatt Aviara Resort, it's decorated in a bright contemporary style. The dining table seats eight, and there's a soaker tub in the marble master bathroom. Sitting by the property's bluff-side Tranquility Pool, you'll be tempted to wander down to the wild Pacific coast. But first, try a Pure Indulgence Seaweed Wrap in the spa's couples' suite. When the stars come out, dine beneath them on the terrace at Vivace, whose deep wine list supports first-rate Italian cuisine. Send an availability request with your requested dates to the Park Hyatt Aviara Resort, Golf Club & Spa.